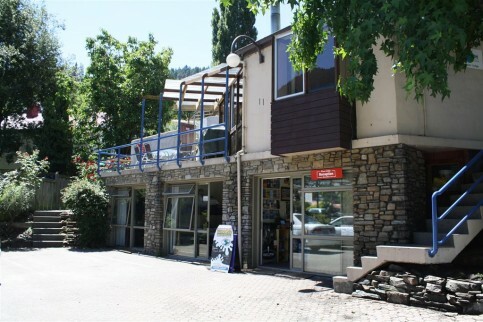 Mandy and Sally had lived in Queenstown and worked in various tourism businessed when the opportunity to by Aspen Lodge hostel came up. “Mandy was already managing it, so we knew where we could change things. “In 2005 Queenstown was the first place that I felt comfortable walking down the street holding hands with Mandy. Other places round New Zealand or in England weren’t the same.” There wasn’t much of a gay community in Queenstown when they arrived. There are no gay bars or regular groups, just friends who get together sometimes. “Everyone is gay friendly, no one judges,” says Sally. The couple had a civil union on October 2009, amalgamated their surnames to Whitewoods and “will get married if we can”. A quarter of their first GSW participants – around 150 – were female, “which is huge for our first year and much nicer than just me and Mandy. They were a mix of Kiwis, a lot of Australians, and a few from further afield. I love marketing and I’m happy to learn as I go, which is definitely what I’ve been doing,” says Sally. As well as the gay media, they advertise in LOTL, the Sydney lesbian magazine, and Curve in America, and because their news releases feature women equally with men, they get picked up by lesbian media. Gay Ski Week QT week runs from the last Saturday of August every year – this year Saturday 31 to September 7. The pair will ask women this year whether they’re keen for a women’s event next year. Juggling 13-hour hostel days, another business and a baby leaves the pair with little time off. “We don’t get many breaks. I love walks with the dogs, or going south for the weekend. We take the dogs down to the Catlins – no cell phone coverage is always a winner.” They have two border collie heading dogs.